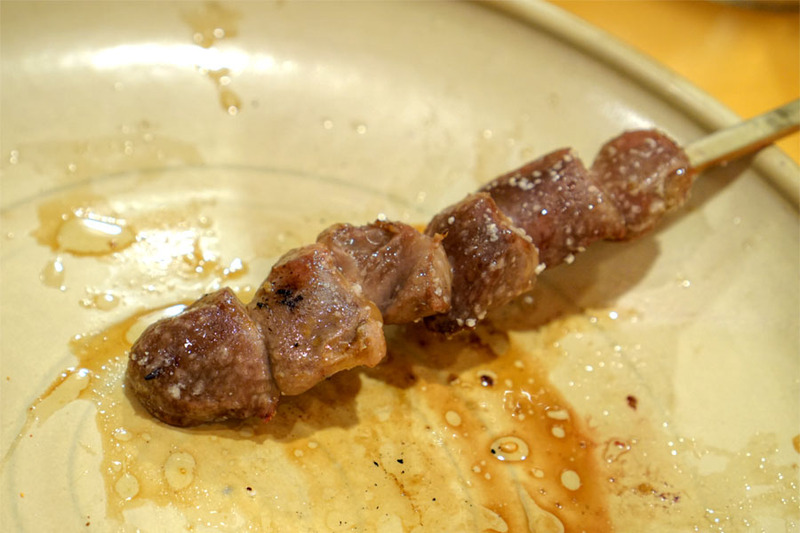 My latest hankering for yakitori brought me to Torimatsu, which I've wanted to try for some time now. The original Torimatsu actually opened in Tokyo's Shinbashi district circa 1979. 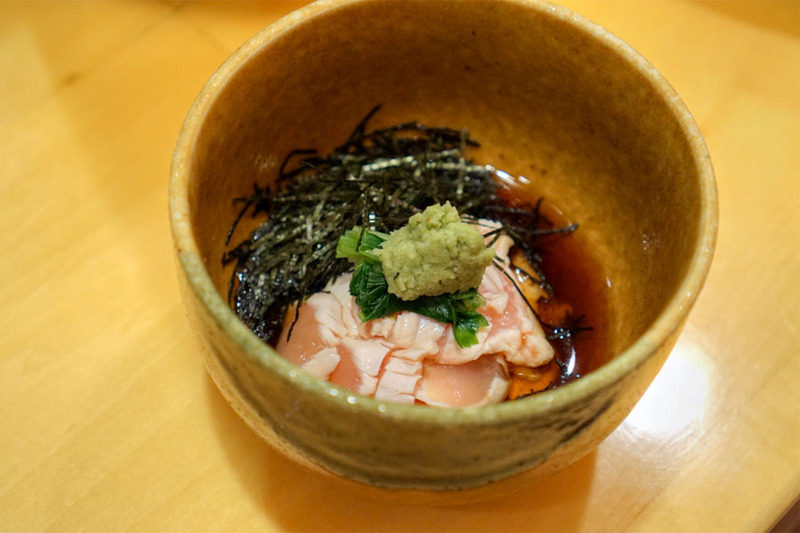 The Gardena location is the work of Chef/Owner Shoji Ishikawa, who'd trained at the O.G. restaurant before launching this outpost in August 1990. The interior sports an old school look, replete with the requisite wood. There's an L-shaped bar surrounding the kitchen, as well as a few tables out front and to the side. 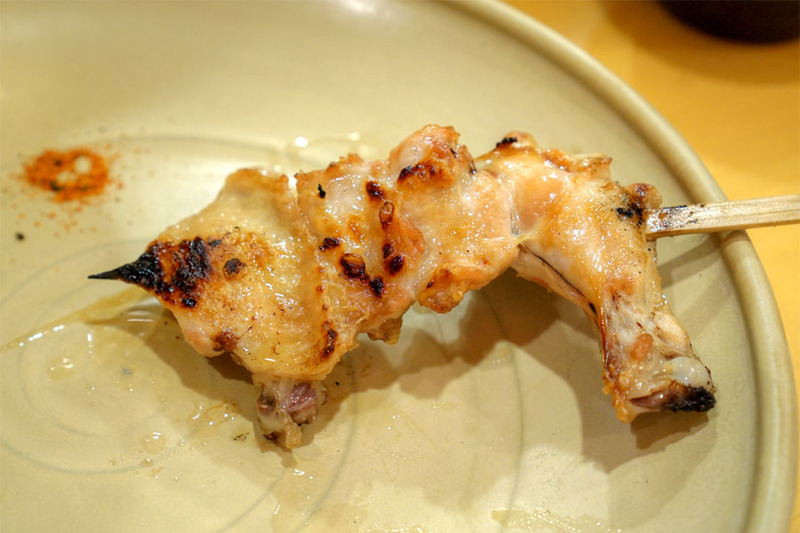 As expected, the menu's centered on various cuts of chicken and veggies, cooked on Kishu binchotan. There are also theme-appropriate side dishes, and the option of seven- or ten-courses set menus (complete with soup, salad, and dessert), priced at $23 and $28 respectively. 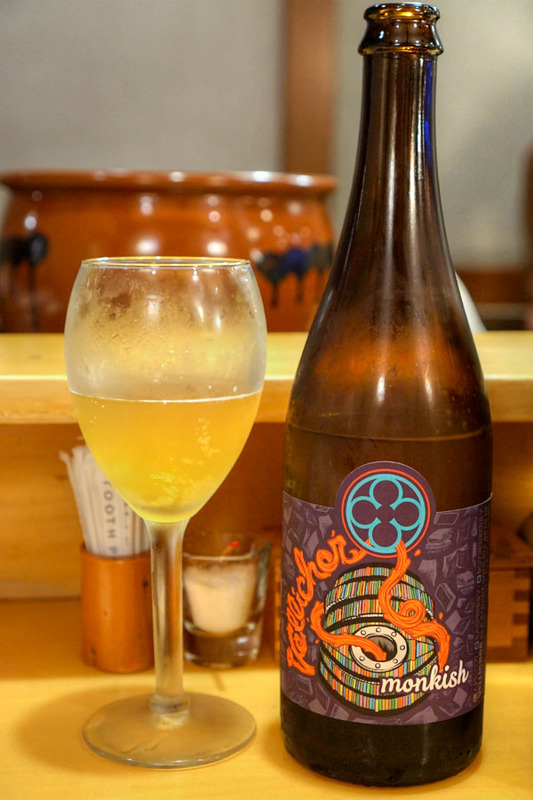 To drink: mostly Japanese beers, shochu, sake, and a smattering of wine. Corkage was $20 a pop. Click for larger versions. I brought a couple bottles this evening, and first was the 2016 Monkish Vellichor with Apricot, a sour blonde ale aged in French oak for 18 months, then aged another three months in oak with apricot. Aromas were super tart, funky, with a fruitiness mixed in. The palate went in a sour, acidic direction, with distinct oak and overarching notes of the advertised apricot. 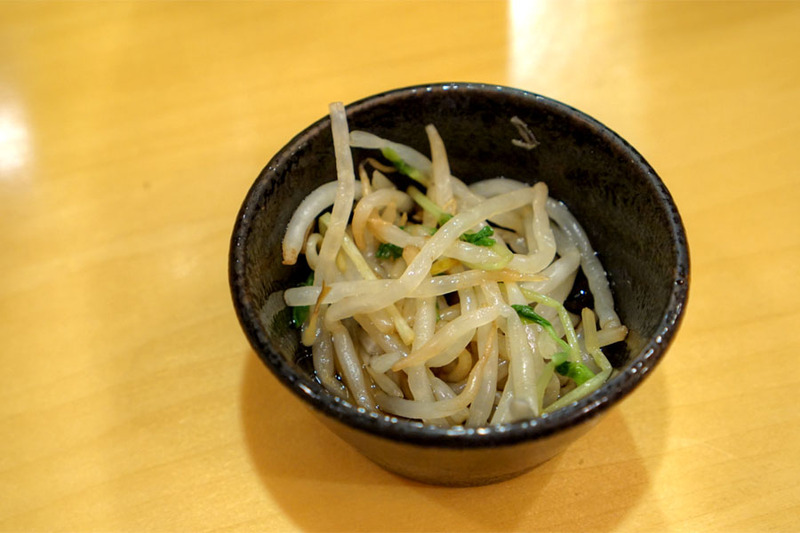 A complementary serving of crisp moyashi (mung bean sprouts) displayed bright, green, refreshing flavors. We ordered a set menu to start, which came with your choice of salad. 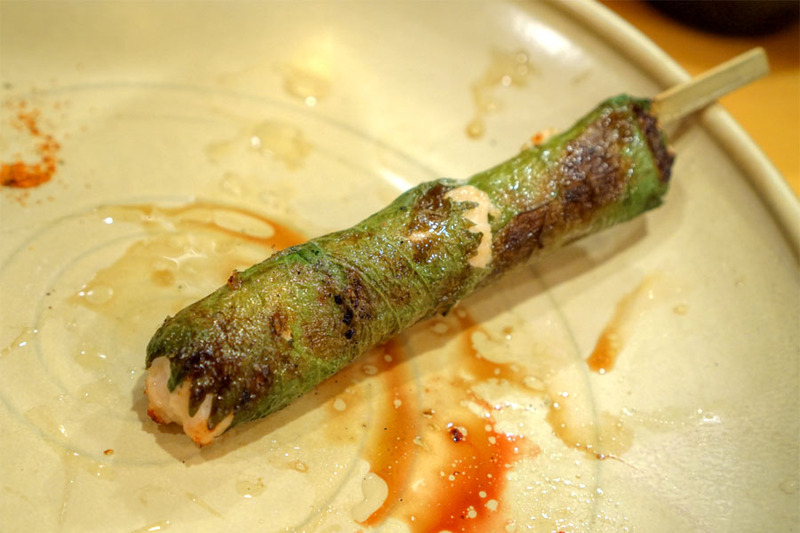 We opted for the negi version, which had a great sesame oil-fueled nuttiness to go along with the scallions. Also key was a bit of heat that crept in on the back end. We commenced with the duck, which didn't really strike me as duck at first. It was delicious though, and juicy, with a good snap and savor that worked out well with the veggies. A promising start. 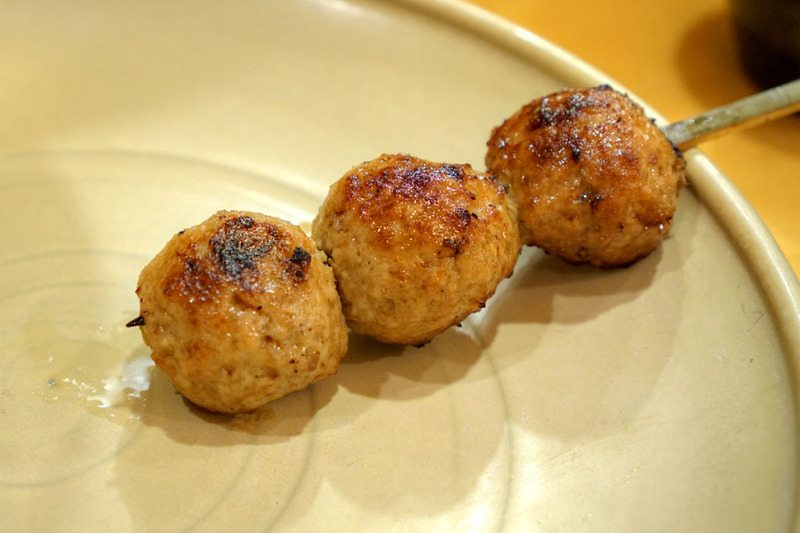 Meatballs were pleasantly moist, with a gritty-yet-elastic consistency that I enjoyed. Flavors were on the savory side, but with a hint of sweetness and sear. Yum. Good ol' teba was a joy to eat. Taste-wise this was one of the most satisfying cuts we had, with a great char to boot, and I appreciated the variety of textures presented. The reba showed off is prototypically grainy, dense texture and earthy flavors, offset by a touch of sweetness from the tare. Thick disks of renkon came out super crunchy and tasting subtly of chicken. The kokoro had a great chew to it, along with a distinct char element that paired well with the cut's more aggressive flavors. 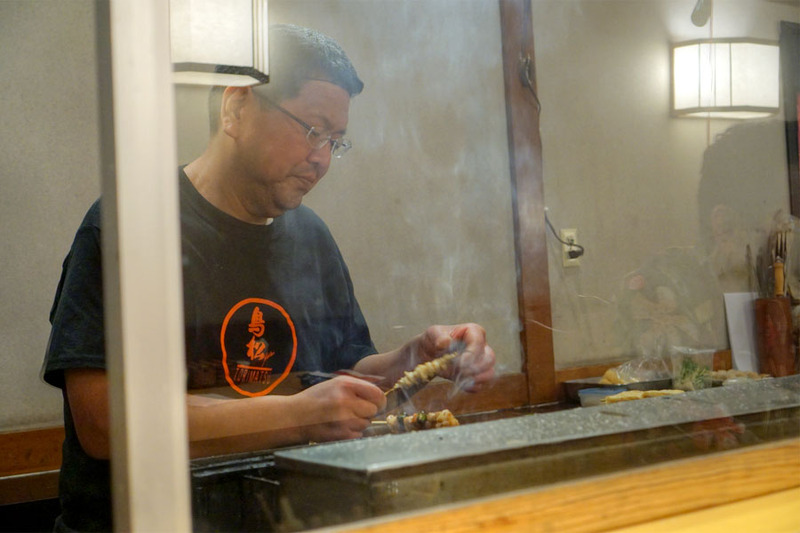 Tucked away behind the glass, Shoji-san handles the grilling for the entire restaurant. 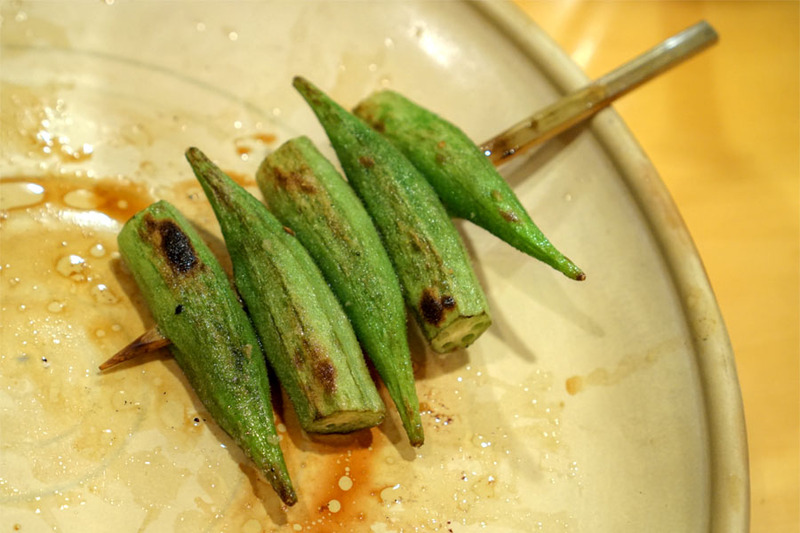 This cigar-shaped course was something that I don't think I'd ever encountered before with yakitori. 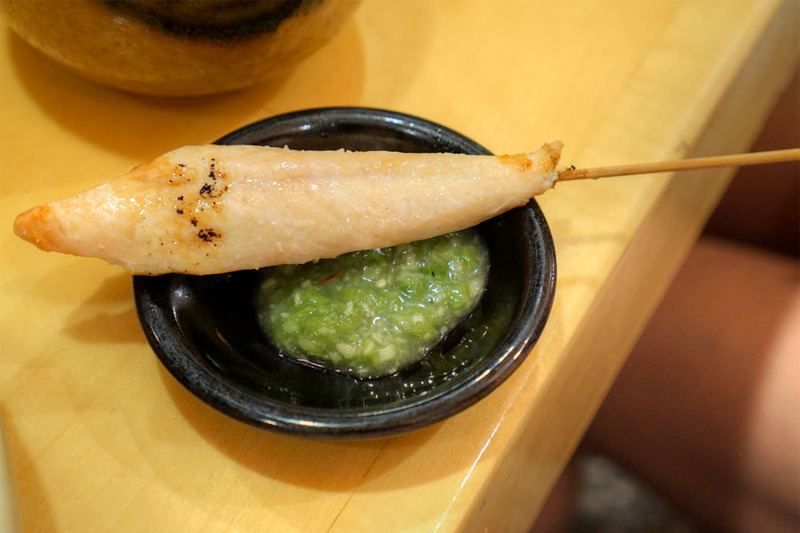 That's a shame though, as it was one of the most memorable items I tried, the mintiness of shiso working beautifully as a counterpoint to the bird. 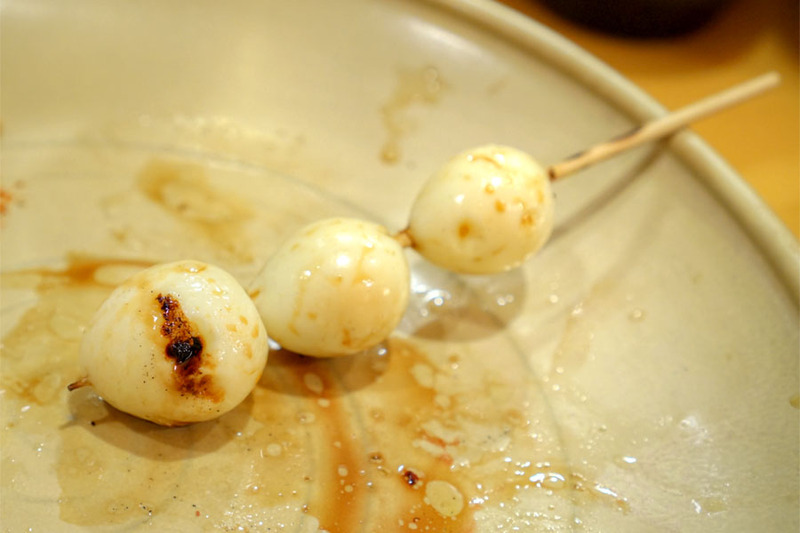 These definitely had "snappy" quality to them, while taste-wise, think hard-boiled egg. 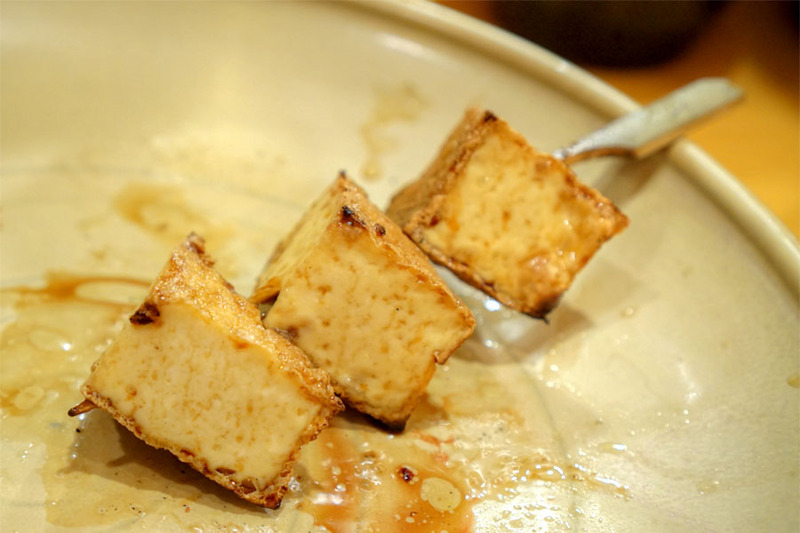 The tofu was a bit of an uncommon sight at yakitori, at least for me. It was tasty however, with a great crispness from the frying. 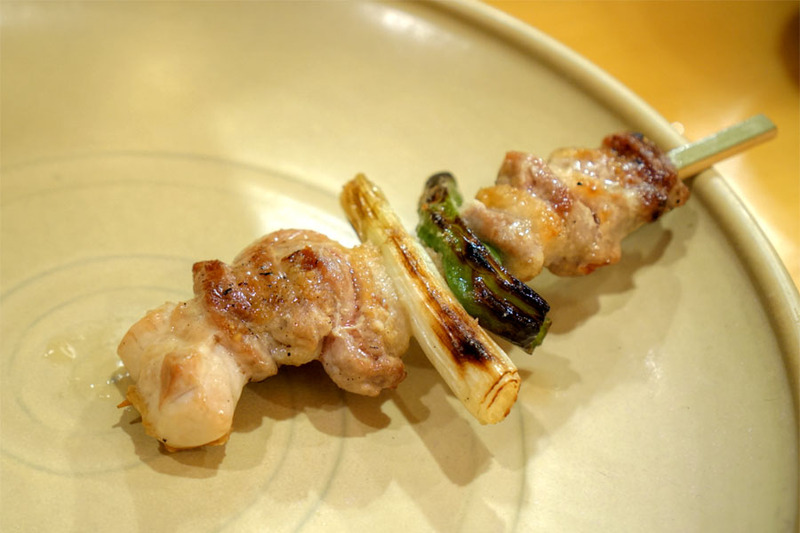 The last skewer of the fixed menu, the classic negima delivered for sure. 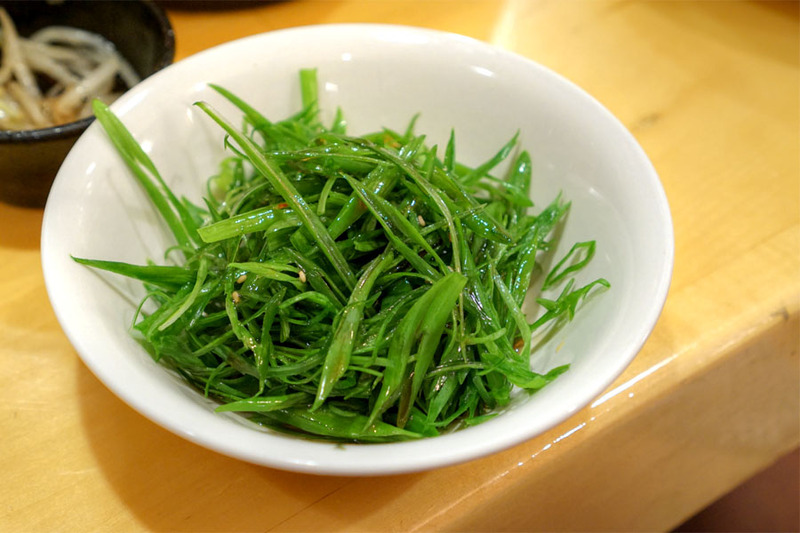 I found it juicy, tender, hearty, and just smoky enough, with a great zip imparted by the green onion. At this point we started ordering à la carte. 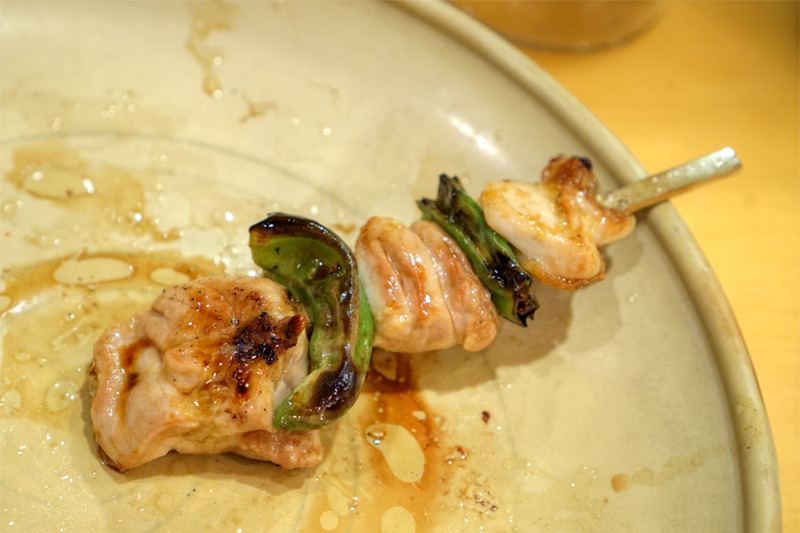 Barely-cooked chicken was a standout: creamy and supple, with heat from the wasabi and a helping of umami courtesy of that seaweed. The okra worked, as the smoke and char from the grilling process actually seemed to temper the mucilaginous qualities of the vegetable. 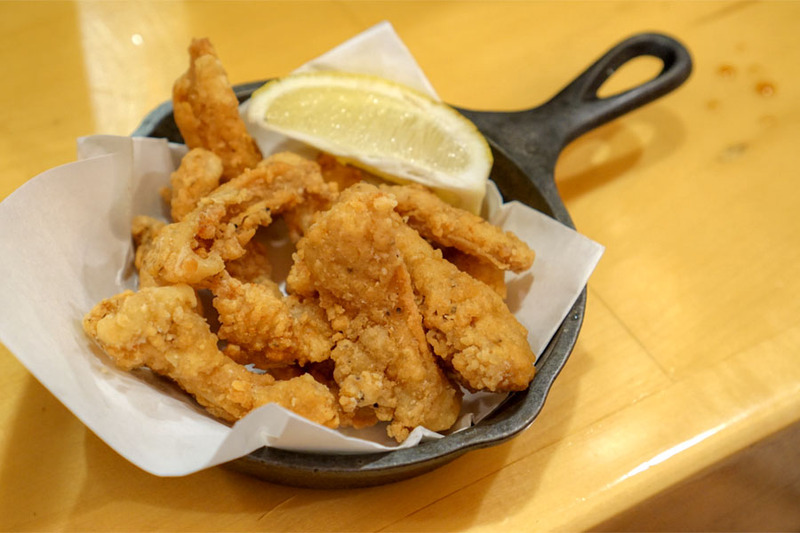 Gizzards were characteristically crunchy, with some much-appreciated pricks of salt. The breast came out pretty juicy, while the included condiment provided a blast of wasabi to go along with the delicate flavors of the bird. 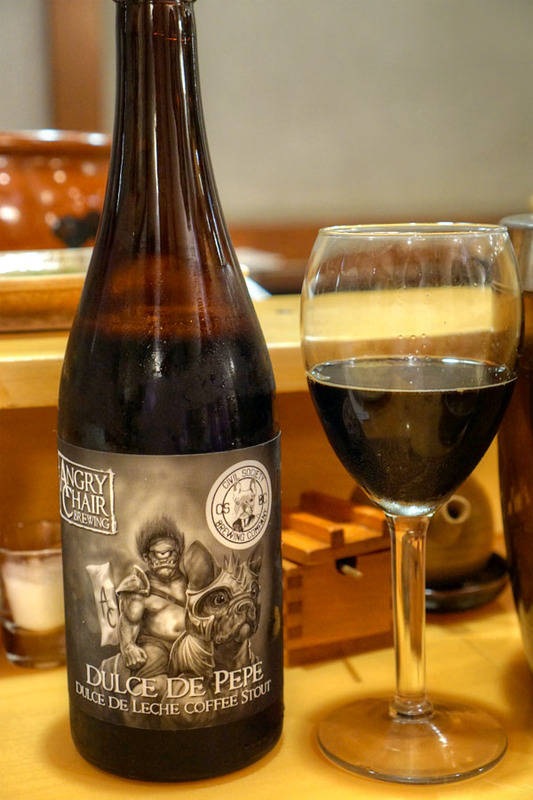 My second bottle was the 2017 Angry Chair Dulce de Pepe, a dulce de leche-inspired stout with lactose, caramel, and coffee that was brewed in collaboration with Civil Society out of Jupiter, FL. This was super fun to drink. They weren't shy about the adjuncts, as I got huge flavors of caramel and chocolate, along with a pinch of salt and a smidge of coffee for balance. Smooth, too. 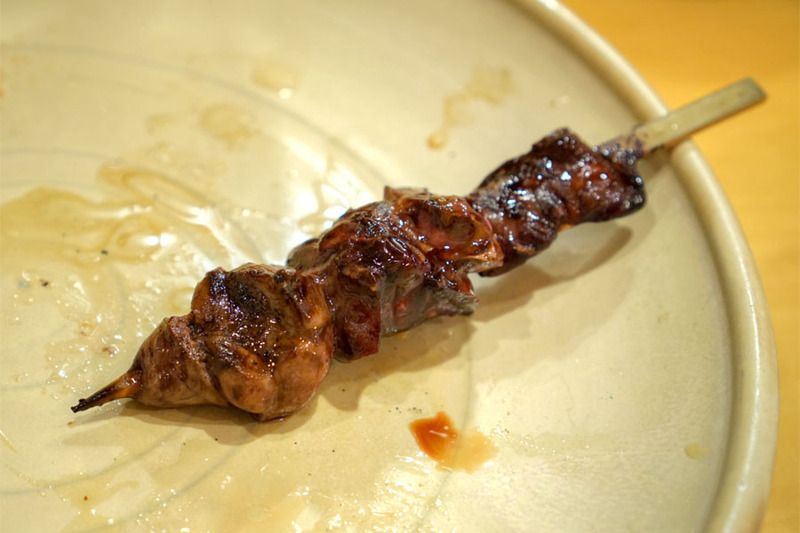 Bonjiri's typically one of my favorite cuts for yakitori, and it didn't let me down tonight. I found it ridiculously flavorful and juicy, with just the right amount of fat. A standout. Cartilage was properly crunchy, with a good amount of meat on it for balance. 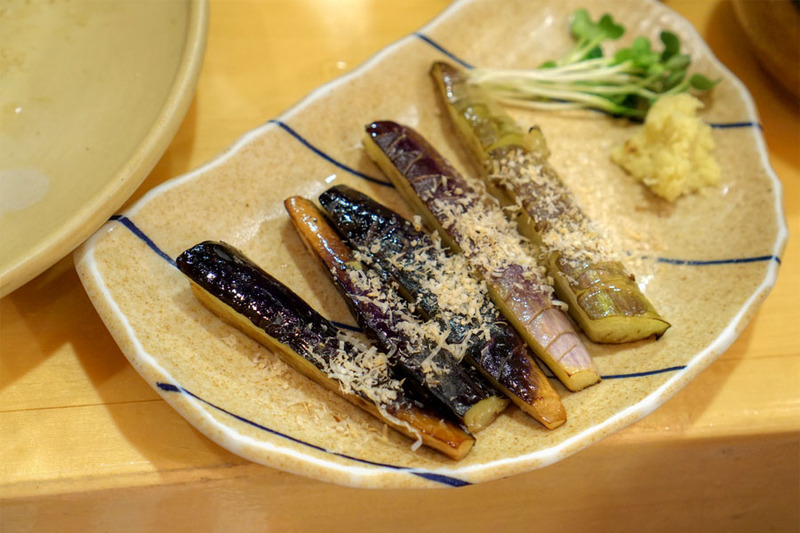 The eggplant was a pleasant surprise, mostly thanks to its not-too-soft texture and light smoke. Nice zestiness from the ginger, too. 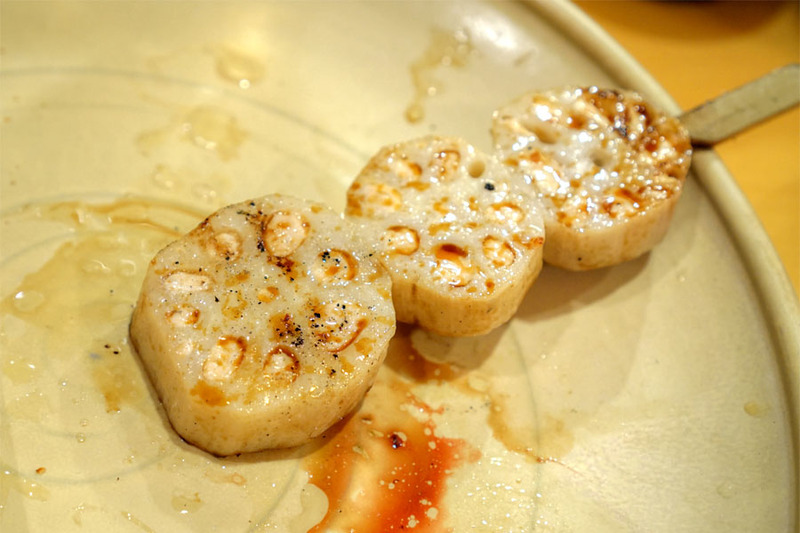 The torikawa was another highlight: a wonderful mix of fatty, gelatinous bites and charred-crispy bits. I inquired about any special off-menu items (e.g. soriresu, otafuku), but was told that this was the only additional item offered. 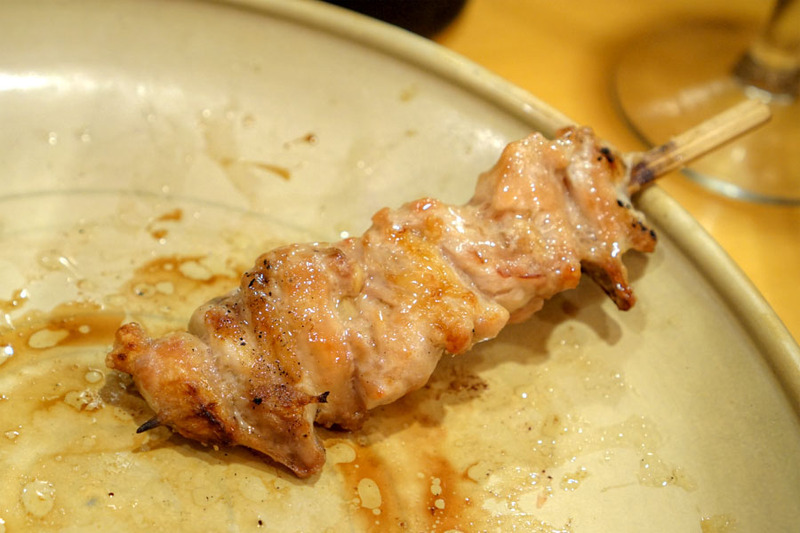 It was similar to the negima above, but with an extra hit of heat. 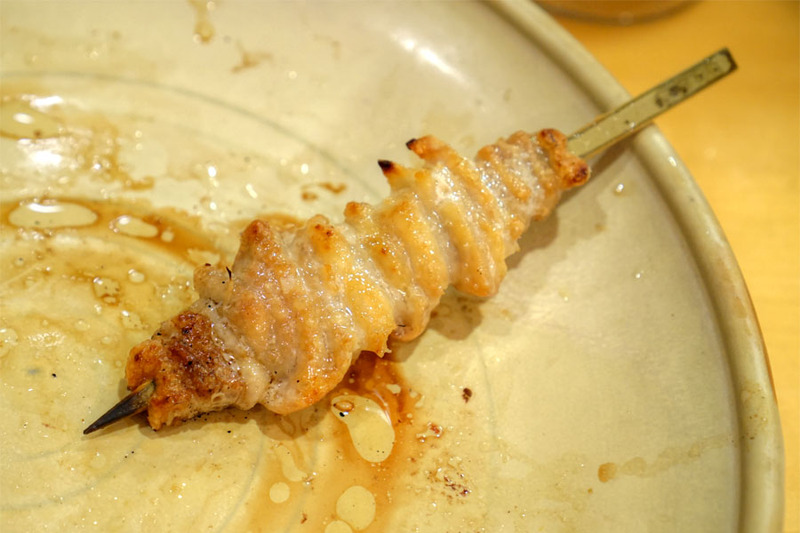 Deep-fried shards of nankotsu delivered as well, with a great interplay between the batter and crunchiness inherent to the cartilage. Even better with a squirt of lemon. 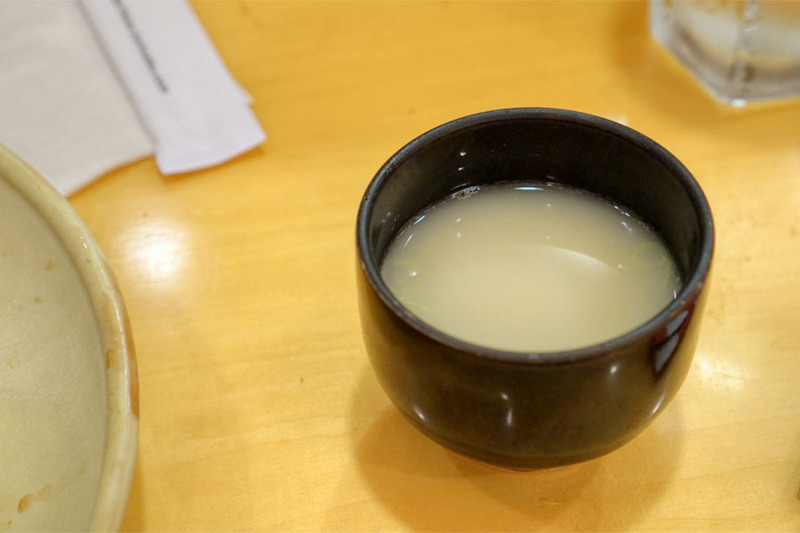 A chicken broth of sorts showed off the concentrated essence of the bird, evened out just a bit by the inclusion of scallion. 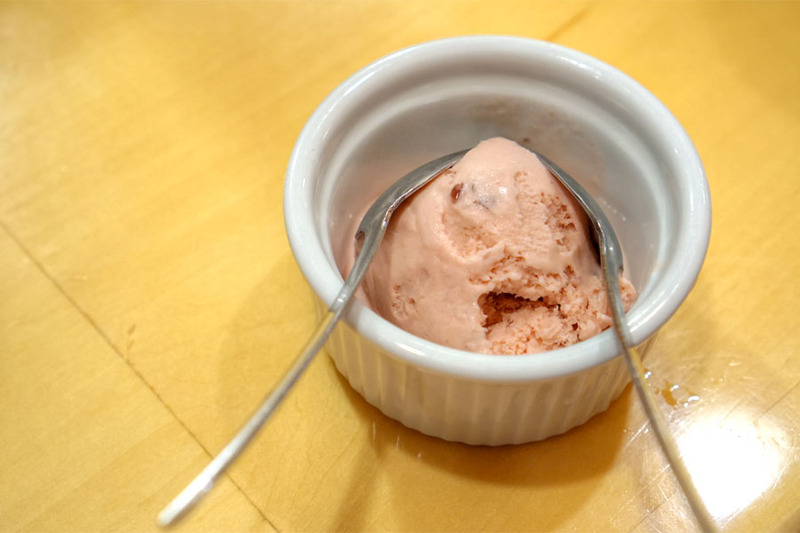 Also included in the prix fixe was dessert, which tonight was an azuki ice cream. I found it sweeter than most, but still balanced, with nice red bean character. 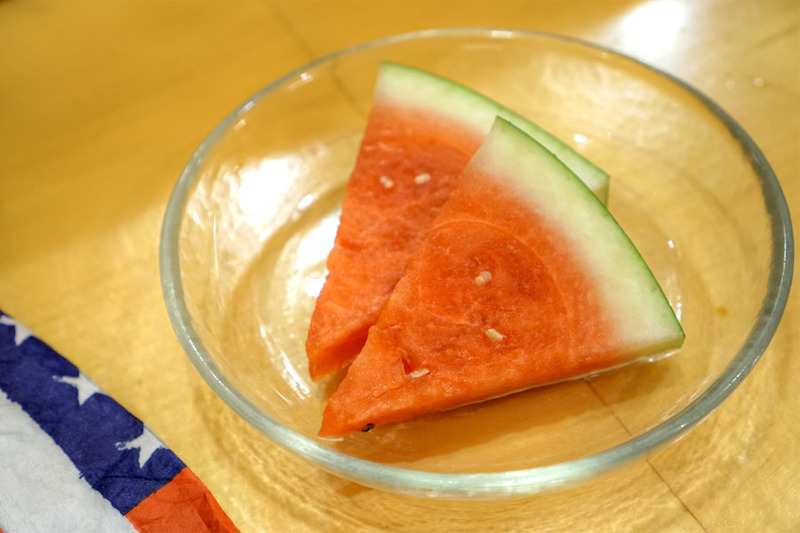 Last up: some pretty darn sweet cuts of watermelon. I'd been wanting to check out Torimatsu for a while, and I'm really glad I made it out. 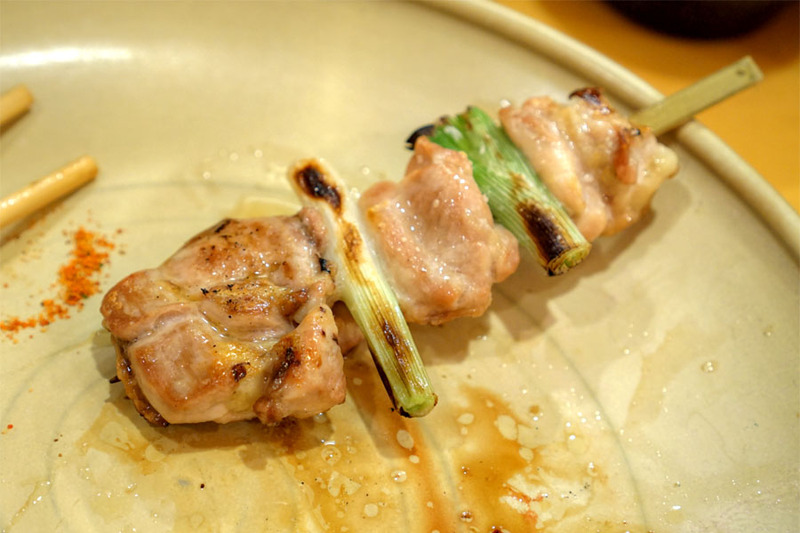 All in all I have to say that I was quite happy with my meal here--this was some fine yakitori to be sure. And given that the restaurant's been open for 27 years, I can't be the only one who thinks so. 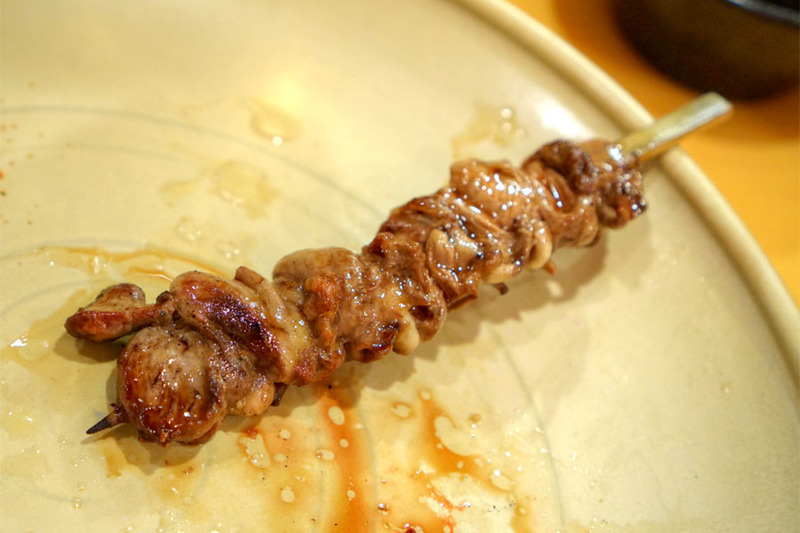 Definitely give it a go if yakitori's your thing. I'm a big fan of Sushi Kanpachi next door. For the optimal experience it's essential to sit at the counter with the founder/owner (you can't miss him). He offers his own Omakase (different than the versions the other chef's compile) and it's a thing of beauty - affordably priced as well. Yeah I was actually curious about Kanpachi as well. What's the name of the chef/owner? I figure I should request to be seated in front of him when I make my reservation. To be honest, I'm not totally sure. I would recommend calling in ahead of time and just politely ask to sit with the owner. You can't miss him when you walk in (trust me). Note that the last time I was in (3-4 months ago) he was out ill. I'm hoping he's made it back ok. They do a standard, very affordable, Omakase around $55. If you sit with him and request his version of the Omakase I believe it jumps up to around $75-$100 (still very reasonable). The pace is similar to that of Japan - very quick. He's served me nigiri I've literally seen nowhere before.This place reminds me a lot of Shibucho in Costa Mesa (another long time favorite of mine).